Introduction; Theoretical principles of information organization: an overview; Examples for cataloguing, classification and assigning subject headings; Suggested solutions; Conclusion. 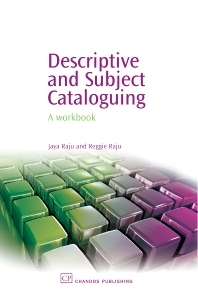 A workbook on descriptive and subject cataloguing featuring practical examples and suggested solutions to reinforce theoretical concepts and practical application in descriptive cataloguing (using Anglo-American Cataloguing Rules, 2nd ed., 1998 rev. ), bibliographic classification (using Dewey Decimal Classification, 21st ed.) and assigning subject headings (using Sears List of Subject Headings, 17th ed. ).